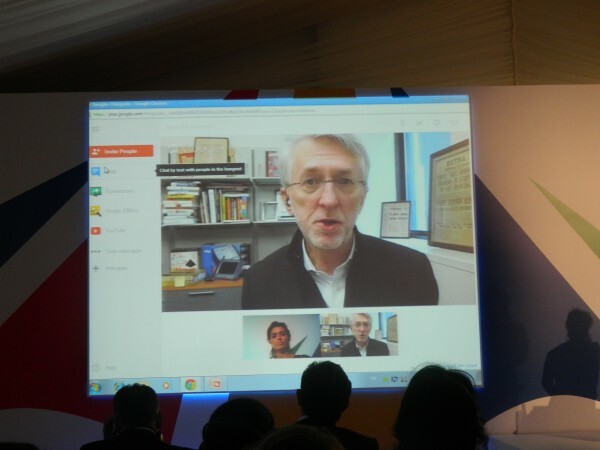 The Big Tent event that Google has organized in various cities of the world since 2011 has been in Istanbul in the past days. We also found the opportunity to closely follow the event there. At the Big Tent event in Swiss Hotel, there were many representatives from internet related companies. Contrary to my expectations pretty high average age at the meeting also brought to my mind the fact that the safety question to whom the Internet in Turkey. As far as I can tell from the questions asked, there were even guests who had not entered the restaurant before. Nevertheless, the level of the topics was very high. Big Tent's name "It must have remained inside the elbow room, no matter how big the tent is inside". After learning the meaning of the name, I have to admit that I think the moderator will keep it together pure. Transport, Shipping and Communications Minister Binali Yildirim started with a delay of 1.5 hours, the first time the BTK President Dr.Tayfun Acarer took his word. The dominance of the subject was quite high compared to a bureaucratic. He did not understand the terms he used and he had to stop and explain at some points. The bureaucrat did not understand the information and the judiciary broke down. Turkey prepared by the international organizations concerned with statistics indicating that there is no current Adjara was presented a few statistics that we prepare with the TSI. 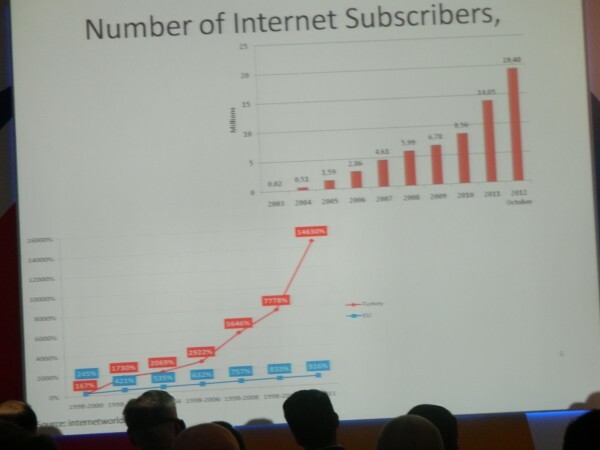 Due to 15-fold increase in the last two years of data traffic in Turkey Fair Use quota and they had to bring Adjara is that you need to increase infrastructure investment should accelerate the transition to Fiber Internet, he said. If we're late in the transition to fiber within 2 years internet traffic jam will begin in Turkey and told the internet could collapse. They pointed out that we are well above the European Union average in Internet usage rates and mobile communication usage rates and that they would encourage all kinds of infrastructure assistance. The average duration of 3 rd hour was 299 min. he said. We can say that some kind of mobile phones are our band. Binali Yildirim was also one of the subjects mentioned after the Service Providers. The tax rate applied to the service provider in Turkey, withdrew from 15% to 5% and is now in Turkey Data Center'S, IXP's and Hosting should be opened. in fact a subject of state and keeping the door open for a long time on these issues to be discussed for the future of the Internet in the establishment in Turkey Turkey hosting service also delights me personally. Turkey has been the scene of heated debate on last year's Safer Internet. Acarer, which provides information about the status of the Secure Internet, stated that they reached 1.5 million secure internet users and that the number of subscribers increased after this filter system arrived. Another statistic that surprised us, which they had never expected, was that 60,000 institutions were Safe Internet users because they did not plan on doing this, Phishersthey are effective against. The President of the ICTA is concerned with Cyber ​​Security Council they delivered what they built. Obviously I wonder what this board does, what does it do? EGM is hacked 123456 change the password, or something like that thought that this board, but at least we should be glad to have gone to such a structure in the past. Binali Yıldırım and Dr. Tayfun Acarer has become a localization policy in a collective attention. After Youtube recorded that they are happy because of the Turkish dialect, they said that the adresses with .tr extension should also pass. Google's service is currently available up to 250 of them can be accessed through Turkey, but only on Google.com .fr extension with the case. Yandex even Google, which just bought .fr extension as Turkey enters the market çekmekteyiz I have difficulty understanding this shyness. Binali Yıldırım was probably the one who said the most memorable saying related to that day; "You know a Google search engine, you find everything you're looking for, you can not find the tax department," he said. Because there is no tax on Google ads. Most of the participants talked about establishing a more dynamic international structure to deal with the legal regulations on the Internet in the world, including the Minister. There are already several rules for structuring such as the OECD or the UN, but they are close to being no binding and global. I think this topic will start to be discussed more in future. The officials of the Telecommunication Communication Presidency among the participants also had various informations about the Secure Internet. As far as I can tell from our conversations Phorm'S the structuring in Turkey "mandatory membership" rather uncomfortable about themselves and they strive to solve these issues. But that evaluate the feedback received in the Phorm abroad and now they say that he belongs entirely to the control of Turkey Turkey will make their old mischief. We hope that too. Minister FORTRAN Let's talk about 4 with the memo American Electionsnor did he bring it. Obama talked about the active use of social media and the Internet in elections, while election night talked about what happened; 3 year old grandson at night 3.5 in the hand with a grandfather look at the selection Obama won a call saying he woke him up comically.Let us know what you need at that hour he added that the fact that people really care about the news and the importance of social media's instant news transmission. Panels started after the state departed from the meeting. On the first panel guests Lucie Morillon After the earthquake in Haiti, he talked about the images of the San Francisco earthquake in Social Media. We had a similar situation during the events in Arakan. All the attendees said that the credibility of the information in Social Media was rather doubtful. In my personal opinion, this insecurity and manipulation initiative stem from our aggression as we did not see it, and over time it will be shaped on the market supply-demand balance. Rahşan Gülşan from Newspaper Haber Turk writes that the social and digital media are afraid of being unemployed with the arrival of the newspaper, but the TRT case and the photographs that the famous police chase the kid have actually brought journalism to a more sacred and necessary place. I think Rahşan Hanım is unaware of the photomontages Hürriyet has made. In an interesting statistic Urs GasserI came from. During the revolution in Egypt, a few days' intermission of the internet found 900 million dollars of damage to the Egyptian Economy, and no government could shut down the internet anymore. We are familiar with the work of Informatics Crisis Leyla Keser the fact that the crimes of IT are changed every day and that they are no longer being raised by the law and that these things should be settled by regulations and communiqués. Turkey is now Privacy Protection (OPPA) the European Union has a more libertarian structure in front of the said. Finally #bigtentturki to who organized the event and in Turkey Google GraylingI would like to thank you, I can not help but use the Google+ bag and the Google book, of course. I can not say anything about being able to go to a place like Swiss Hotel and find a hot brewing tea.